Two years ago, TECNO Mobiles made its debut in India with a range of five affordable smartphones. Since then, the company has come a long way and is now aiming to take on biggies like Samsung. 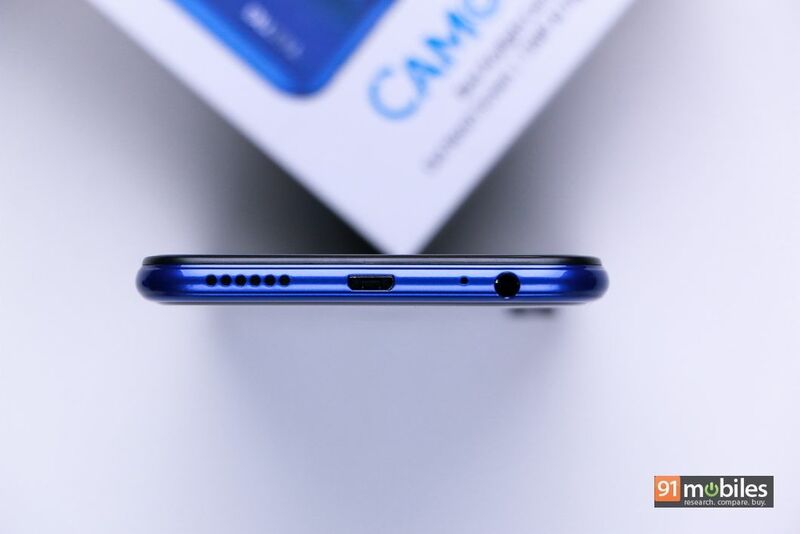 The Transition Holdings-owned brand has just launched the CAMON i4 in India, which goes straight after the triple rear camera-toting Samsung Galaxy M30 (review). The CAMON i4 recently arrived at our premises and here’s what I make of it after spending some time with it. 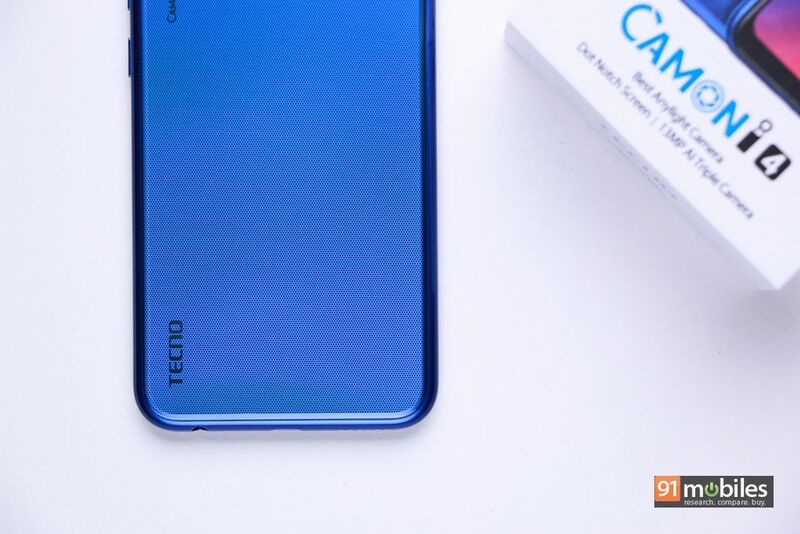 The TECNO CAMON i4 comes in a generic white box featuring the smartphone’s visuals and USPs on top, with brandings and more specs listed on the side. Lifting the lid, you’ll see the handset atop a tray below which, there’s a clear protective case. You’ll also find the documentation inside the case. TECNO has also pre-pasted a plastic screen protector on the Camon i4. At the very bottom, there’s a micro-USB cable, wall charger and a SIM-ejector tool. Unfortunately, like every other affordable smartphone, there are no earphones in the package. Coming to the smartphone itself, the CAMON i4 flaunts a plastic body with a glossy finish on the back that features a fine dot matrix pattern, which gives it a unique and premium appeal. The matrix pattern also creates a rainbow effect when the light hits it, which looks pretty cool. However, as is the case with all glossy phones, the panel is a smudge-magnet and doesn’t clean easily as well, so it’s advisable to use the provided case. 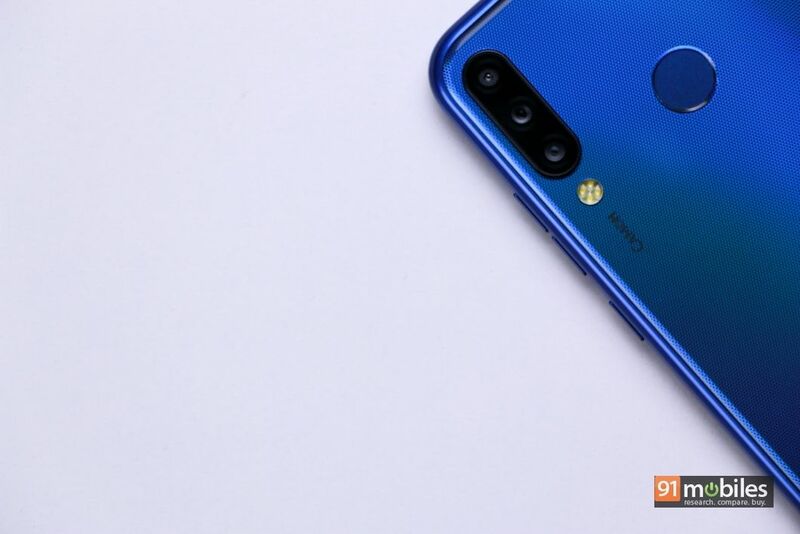 The rear is home to the vertically-aligned triple-camera module aligned vertically in the top-left corner along with the LED flash, fingerprint scanner towards the centre and the TECNO branding in the bottom-left corner. 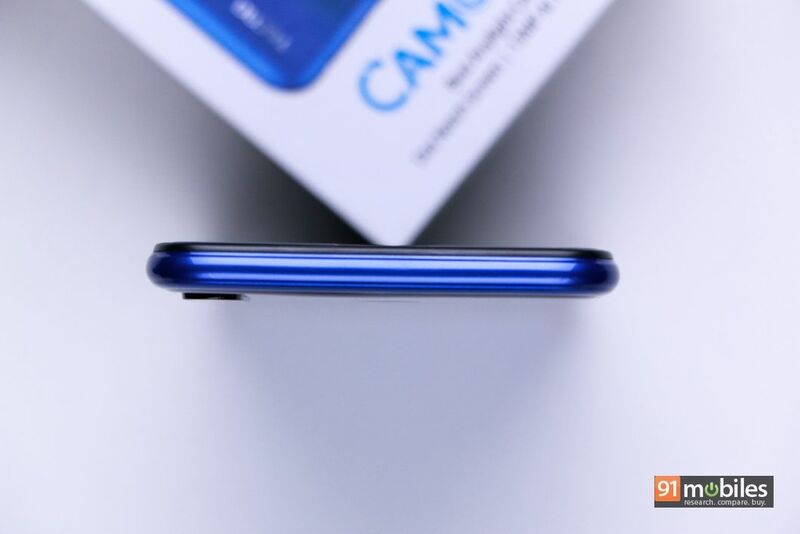 Moving to the sides, the TECNO CAMON i4 has physical buttons for volume and power on the right edge, and dual-SIM slots along with a dedicated microSD card tray on left. At the bottom, you’ll find the loudspeaker grille, a micro-USB port and a 3.5mm audio socket. 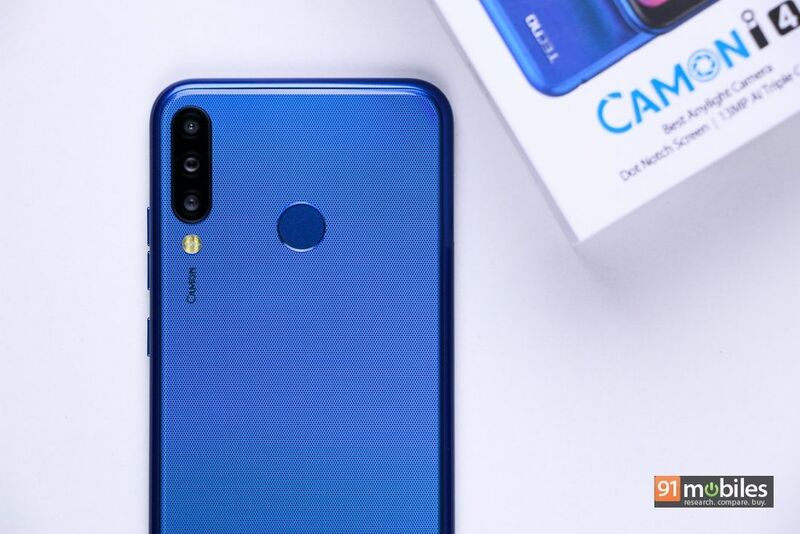 As for the fascia, the TECNO CAMON i4 features a 6.2-inch display with a waterdrop notch up top, which the company is referring to as Dot Notch. With an aspect ratio of 19.5:9, the screen bears HD+ resolution, which delivers vibrant colours and sharp text. The viewing angles are also pretty good without any colour shift and I could view the content on the display in direct sunlight with ease. 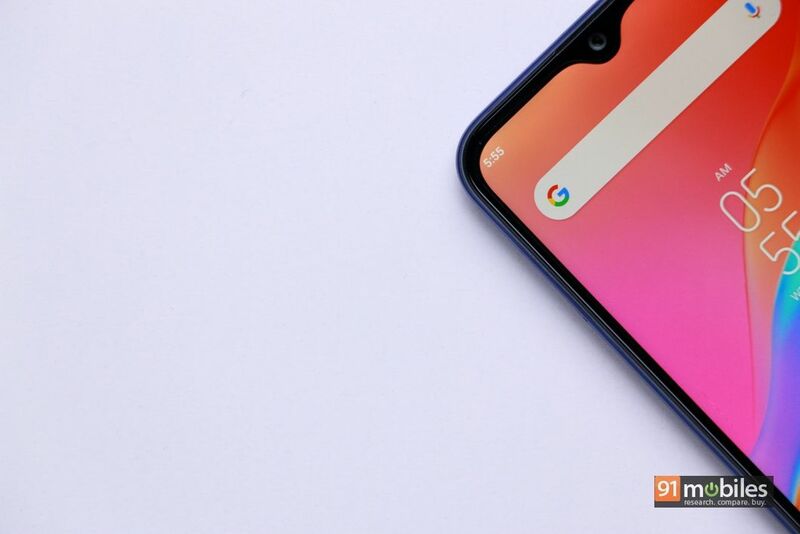 The company also makes use of the Android Pie gesture navigation to increase the screen estate, however the gestures takes some getting used to. Talking about the performance, the TECNO CAMON i4 comes equipped with the 12nm 2.0GHz octa-core MediaTek Helio P22 SoC backed by 4GB RAM and 64GB storage. Of the onboard storage, around 54GB is made available to the end user. 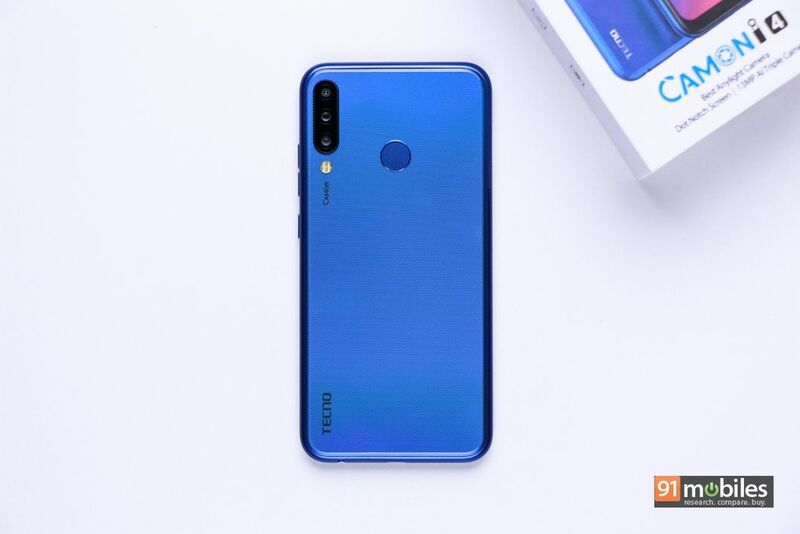 The company is also offering the phone in 2GB+ 32GB and 3GB + 32GB configurations, which come powered by the Helio A22 SoC. 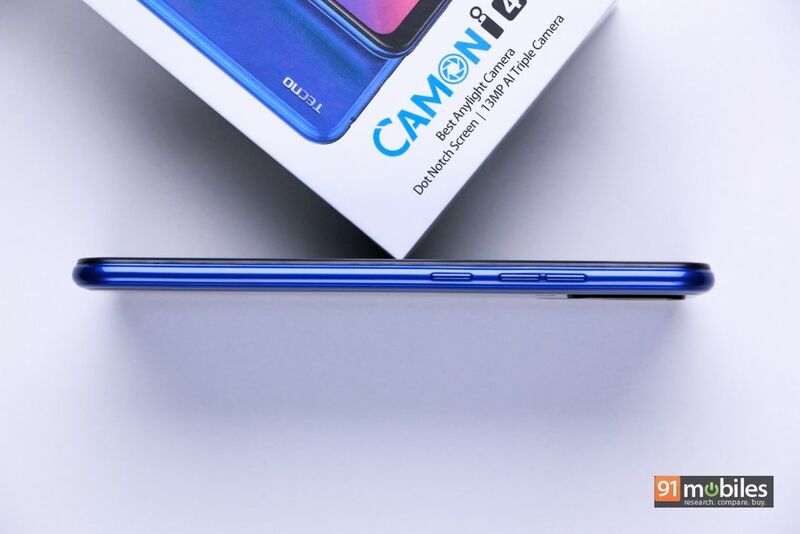 During my time with the smartphone, the CAMON i4 performed smoothly, while playing basic games like Soccer Hero, web browsing, streaming video off YouTube. The smartphone managed to multitask seamlessly, though if I have to nitpick, the animations were a tad bit slower making the smartphone appear slow. As for the battery, the TECNO CAMON i4 runs on a beefy 3,500mAh battery, which will easily see you through a day’s worth of usage. Speaking of animations, the CAMON i4 boots HiOS based on Android 9.0 Pie out of the box. All the apps are laid nicely on the homescreen, but there’s an app drawer as well, which lists all the apps alphabetically. Sadly, the smartphone comes with bloatware and a lot of third-party apps, the majority of which are system apps and cannot be uninstalled. The software is loaded with features like AI smart power saving, gestures support, and face unlock. The face unlock works pretty fast, though it isn’t the most secure. What I liked about the face unlock that there is a very slight delay between the screen waking up and unlocking. While many might frown upon it, I personally liked the play on animation while the phone unlocked. This is because this gives an assurance that the face unlock is in motion, unlike other brands which unlock in a jiffy making you wonder whether your phone was locked to begin with. While on the topic of security, the rear-mounted fingerprint scanner is pretty accurate and fast as well. Let’s move on to the highlight of the handset, shall we? The TECNO CAMON i4 is the brand’s first triple rear camera-toting device. 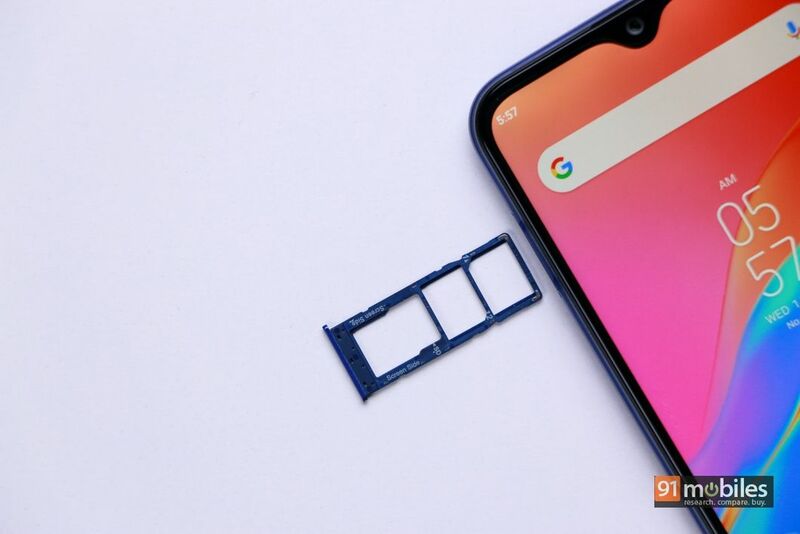 The module comprises a 13MP f/1.8 primary camera, a 2MP depth-sensing lens and an 8MP ultra wide-angle camera with 120 degrees field of view. The camera app is loaded with features like AI Cam, Wide Angle Mode, AR Mode with over 14 localised stickers, Bokeh Mode, HDR, Beauty, and Auto Scene Detection with 8 independent scenes. 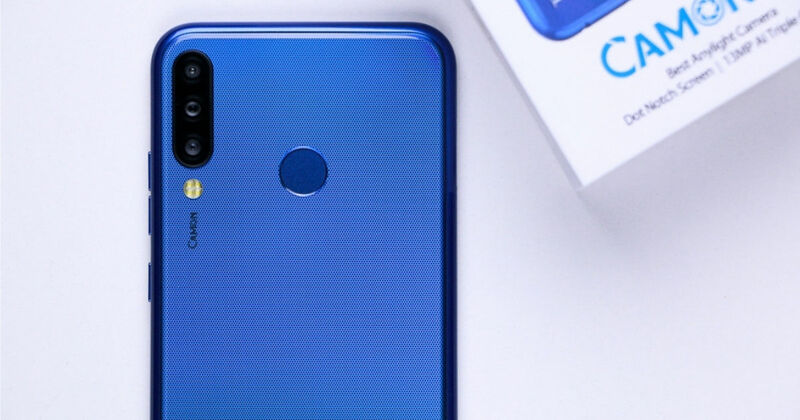 As for selfies, the Dot notch houses a single 16MP f/2.0 shooter with features like 4-in-1 pixel binning, Night Algorithm 2.0, AI Cam, HDR, Bokeh Mode, Beauty and AR mode. The initial shots taken using both rear and front cameras in good lighting doesn’t disappoint. With the 2GB variant of the smartphone starting from Rs 9,599 (the 4GB model is priced at Rs 11,999), the TECNO CAMON i4 pips the Galaxy M30 to be the most affordable smartphone to boast triple cameras on the back. 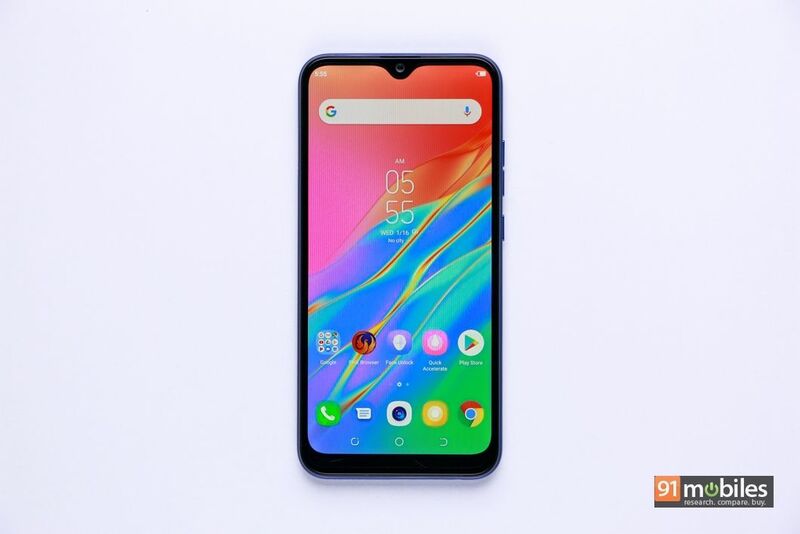 But that’s not the only thing that makes the device a compelling package, as it also comes with a powerful selfie camera, and a 3,500mAh battery. Not to mention that unlike online-only smartphones, the CAMON i4 will be available to buy from a retail store near you.